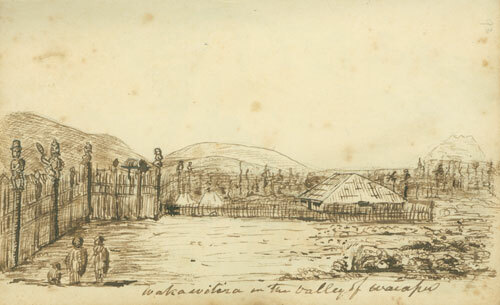 In Tairāwhiti in 1862 the total Pākehā population on the East Coast (excluding the area now known as Gisborne City and the Poverty Bay Flats) was estimated to be 20, while that of Maori was around 5,000. So there was a strong tradition of community governance and while settler governments imposed ‘local government’ straight over the top of these tribal arrangements undermining the mana of traditional runanga, in the post­‐settlement environment we are seeing a burgeoning of sub-­tribal groups being re-­established as hapū collectives and trusts with a focus on the social, economic, cultural and environmental revitalisation and wellbeing of their tribal area. More recently this is extending/reverting to taking back the regulatory role for activities in the rohe via mechanisms like the Joint Management Agreement between Gisborne District Council and Te Runanganui o Ngati Porou that gives hapu groups more influence and responsibility in resource management decision-making processes. Community leaders scrambling to defend the region in light of the Salvation Army report yesterday was understandable but a bit disappointing. I’m not sure why anyone was surprised that Northland and Gisborne top the country for all the worst statistics – it’s been that way for a few generations now. Shooting the messenger – before even reading the message – shows both a lack of confidence in the region and credibility as a commentator. If we look behind the numbers in the report it is completely understandable that Gisborne stands out – we have a very low population compared to other regions and lower average income and higher Māori population. Wellington, Auckland and even Tauranga have communities facing similar challenges to Gisborne but their regional statistics look better because they have higher proportions of the community with higher incomes and there are more employment opportunities in big centres. Māori are still recovering from the impacts of colonisation and it will take some time and better efforts from everyone before Māori health, justice, education and employment statistics are equal with the rest of the population. Urban migration from rural communities to metropolitan centres is a global phenomenon as small family farms become marginal in the face of industrialised agri-business. Increasing profits by using machines instead of more costly human labour has been the point of business since the industrial revolution. And we wonder why we have an unemployment problem? I think the report is really helpful and we should be thanking the Salvation Army for helping draw attention to the issues again. A local yesterday said “the Salvation Army doesn’t know Gisborne”, those kinds of comments show that there are people in Gisborne who don’t really know Gisborne. I was pleased to hear a couple of councillors have invited the report author to come to Gisborne for a discussion about the report findings and recommendations. Gisborne District Council continues to excuse itself from any meaningful leadership in terms of truly sustainable development. Other councils have at least developed useful regional progress measures that help identify where more attention and resources are required to affect meaningful change. Tairawhiti District Health Board seems to understand some of the issues but is hamstrung by central government priorities, high salaries for some medical staff and limited funds having to stretch further each year. Eastland Community Trust and iwi authorities have limited mandates and capabilities at present but they do have ambitious vision, significant capital and opportunities to marshal additional support. Activate Tairawhiti has a big mandate but no resources to do anything other than organise meetings. Local offices of central government agencies are driven by their bosses in Wellington rather than local priorities. Likewise we need a local plan to meet the challenges of an aging population, resource scarcity and rising inequality in our region. Accelerating the adoption of new technologies and social arrangements, could help but those arrangements may also require understanding our situation differently. For example the official deprivation levels in Kaiti and Ruatoria are the same but the issues are quite different – on the Coast access to quality health services may be a big challenge but families don’t need to earn a lot when they depend less on the supermarket and more on the land and sea to source food. For example, should public policy encourage more families to return to small farming? So let’s welcome this useful piece of research, thank the authors and take the time as a community to fully appreciate the reality of the opportunities available to us as a region. Recently I started using a social networking site called Neighbourly. I am encouraging others to try it, as I’ve been an advocate for using new technologies to help build community cohesion, improve public participation in planning, share learning and improve communication. Place-based online networks like Neighbourly, Nextdoor and MeetTheNeighbours have potential as tools for communicating useful information and knowledge between local residents. Eventually Neighbourly could be a valuable platform for local government and residents associations to engage with people in our area. There are limitations in our community because we have lower internet than most of the country – indeed we have lower rates of access than some developing countries! We’ve seen it used to help solve crime and get stolen property returned. It’s also being used to promote neighbourhood events that bring people out to meet face to face. We have been trying to build trust and care between residents in our neighbourhood as a way to address wicked social issues like child neglect and violence – we are seeing neighbours getting to know each other better and Neighbourly can only help with these bigger processes of community building. Platforms like Neighbourly will enable organisations to engage with the people they are supposed to serve in new ways. We are seeing the rise of services like online youth work and counseling – as it can be easier for some people to engage online than in person. As Neighbourly develops I expect it will increase the suite of tools available for organisations to target particular groups within a larger population with specific messages and in conversations about issues of mutual interest. Geo-tagging and place-based online platforms will be increasingly important for things like civil defence, e-democracy, tourism, historical archiving and cultural revitalization. I’ve been organising in my neighbourhood for 15 years and worked for four years as an elected representative for the area so using social media platforms like Facebook, Twitter and Neighbourly seemed like a natural progression to take a lead in online organising as well. Having said that, it’s been great to see a number of local people with no significant public profile or community organising experience take a lead on Neighbourly and in other social media. Developing a national network on people committed to engaging with their communities is a vision many of us community organisers and development workers have had for years. Neighbourly has the opportunity to provide a powerful platform for mobilising large parts of the population on specific campaigns and supporting critical issues we may be interested in – both in public policy and in specific communities. There are obvious opportunities for creating learning circles within the Neighbourly network to share best practice and well-established principles of good community development. Social media is demonstrating how powerful it can be as a tool for social change around the world. While we may not be organising a revolution (just yet), we can use these platforms to share stories, raise awareness, mobilise residents for collective action, collect valuable feedback and information on local priorities, attitudes and behaviours that can provide better evidence for where scarce resources should best be allocated. I think the growing digital divide is one of the most critical issues that the champions of online community building initiatives and public policy makers need to wrestle with. If we don’t address the elephant in the room of affordable internet access and online skills we will exacerbate already staggering levels of inequality our country is increasingly being shamed for on the global stage. There are also privacy issues that need to be addressed. Recent revelations that the NSA and its partners have access to all online communication will make many organisations and individuals more nervous about how much data they are prepared to share online about themselves, their community and others. 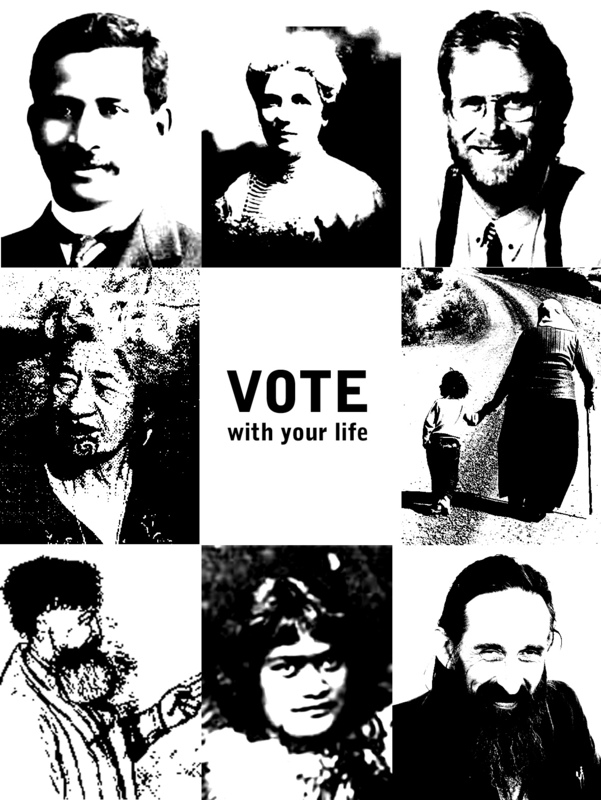 Kia ora Nandor, thanks for this great post: ‘Not Voting is An Own Goal‘. I think you make some valid points though I disagree with you on a couple of others. Others just ‘can’t be bothered’, they know they probably should but can’t get motivated enough to spend 15 minutes of their time going into a polling booth. That lack of motivation has a variety of contributing factors to it which may include being new to the place or just having other more pressing personal priorities, which may include emotional or physical needs. Others choose not to vote because they honestly don’t know which person or party they would want to give their vote to – they feel ill informed and unwilling to commit one way or another because they haven’t got enough information. Another group don’t want to vote because they don’t have confidence in any party or politician – as a society politicians are way down the bottom of professions we trust. They have heard all the promises, probably participated in elections previously and maybe been a member of a political party but have been so disappointed by the inability of any party to live up to the expectations they held that they currently can no longer bring themselves to support any party or candidate. I’m not sure if it’s a different group, a subset of the last one or just the same people with a different expression for their lack of confidence, but there are people who have given up on the whole process, the ones you suggest don’t want to legitimise a rotten system and think that voting ‘just encourages the politicians’. You suggest that this decision to not vote ‘will have absolutely no impact at all’ – but I’m not so sure. For a starter, when nearly a million eligible voters don’t exercise the right, it provokes these kinds of discussions and encourages more deliberation on the validity of the system, the legitimacy and effectiveness of representative democracy, the possibility of more effective and potentially disastrous alternatives, the level of social capital and social infrastructure in our society that means such a large proportion of the population are disenfranchised (or not) and allowing others to determine (or not) the future for the most vulnerable in our communities, etc. Choosing not to vote, is still a vote. It may have made John Key more likely to win, but then a Labour-led alternative is not any more attractive to many of us. Concessions on RMA and welfare reform, indigenous rights, mechanisms to address inequality, state asset sales and ties to the US economy and global military industrial complex would continue to frustrate many of us who like to think we vote with a little less self-interest than the majority of our fellow citizens. Choosing not to vote is a message to say, the system is broken (no where near as much as some others) and we want to put energy into improving or replacing it. I think there is a place for a Vote of No Confidence option on the ballot, a space for those who don’t think we should settle for the current form of government modelled on (and still linked to) the Westminster system imposed by European settlers on these islands. There are plenty of improvements we can make to the system (I listed some toward the end of this post), and we can help create those changes with or without central government support. There are examples of this happening all the time using existing institutions and creating new processes and contexts for reducing the influence of the dominant paradigm on our families and communities. Likewise we can build authentic alternatives for self-governance, most likely without public support and eventually these will create conflict with the dominant system if they refuse to contribute to its maintenance and self-legitimising mechanisms for survival. This is a much more costly option and is unlikely to succeed, but if it’s all too hard then we continue to meddle and tinker with a massive infrastructure that is controlled by very powerful forces that refuse to give up power while we’re running out of time to make the changes the world needs to have any chance of a decent future. I like your point that voting doesn’t actually take much effort and provided it’s value and potential is seen for little effort and little impact it has, it’s not really so demanding that we should abstain for any good reason. I’ll probably vote again in the future, but by not doing so this time, I’m choosing not to abdicate anything to the government and voting for myself to take more responsibility for creating the community, country and planet I want my kids to be able to contribute to. I’m helping organise a workshop on Community Governance, one of the presenters is from Portland, Oregon and we are wanting to give him some background on the local context, particularly Māori in governance roles. This is my (brief) briefing note – feedback welcome if I’ve omitted or misrepresented anything significant. Tairāwhiti (“The Coast Where the Sun Shines on the Water”) or Gisborne (the name of a Colonial Secretary for the British Empire who never visited the place) is a region on the East Coast of the North Island of Aotearoa New Zealand. The population of approximately 45,000 residents includes about 33,000 in the city of Gisborne and the remainder in rural villages and on farms. Most of the settlements are close to the coastline. The population has been declining slightly for a decade or so but the birth rate and youth population is generally higher than the national average. The ethnic identity of residents is fairly evenly split between Māori and Pākehā (New Zealanders of European descent) with a small proportion of Pacific Islanders (mostly Tongan & Fijian Indian), Asian (Indian & Chinese) and others. The geographic isolation of the region makes travel to other cities and metropolitan areas a long haul by road and travel within the region can also be challenging as the terrain is often steep and prone to land slips. The main industries in the region are based on the primary sector including farming, forestry, horticulture, viticulture and fishing. 2.2m tonnes of raw logs were exported from the port last year, and this is expected to continue growing. The increase in farm land converted to forestry has contributed to the population decline in rural communities over the last 30 years. The original inhabitants of the area are thought to have established settlements in the region between 1200 and 1400 CE. Their descendants continue to reside in the region which is home to about a dozen traditional iwi (tribes) that have been amalgamated into four main tribes: Ngāti Porou, Te Aitanga-a-Mahaki, Rongowhakaata and Ngai Tamanuhiri. During the early 1800s British settlers signed a Treaty with Māori leaders in an attempt to legitimise their occupation of the islands, but almost immediately after the Treaty was signed, settler political and commercial interests started passing laws and taking action to grab as much Māori land as possible. This resulted in a series of wars around the country between British troops and tribes that resisted the invasion and alienation of their territories. Some tribes chose to side with the British forces in a continuation of traditional inter-tribal conflict. Tribes that sided with the Crown managed to retain more of their land than those who resisted and ultimately had vast areas confiscated to be held by the Crown or sold to settlers. In Tairāwhiti there are two main tribal areas, the tribes of Turanganui-a-Kiwa (Gisborne city and to the west) lost more than a million hectares to confiscation. Ngāti Porou (an area covering 400,000 hectares north of the city and now the second largest iwi population in the country) sided with the Crown and kept the majority of their land under tribal control. Most members of Tairāwhiti iwi live away from the area (e.g. Ngāti Porou have over 70,000 members but only 12,000 residing within its tribal boundaries). The late 1980s followed 20 years of activism to recognise Māori political rights and two acts of Parliament established two tribal governance authorities, one for Ngāti Porou and one for the collective of Turanganui-a-Kiwa iwi. In the last five years all but one of the iwi have settled claims for historic breaches of the Treaty of Waitangi (signed in 1840), the last tribe is expected to settle with the Crown later this year. Settlements include a formal apology from the Crown for a list of Treaty breaches, the return of some lands, cash compensation (in Tairāwhiti these have been between $20-200m) and the establishment of new governance relationships. In the case of Turanga iwi, this will include a standing committee of Gisborne District Council made up for six councillors and six iwi representatives. For Ngāti Porou it includes new protocols with various central government agencies that must consult with the iwi, and provide a first right of refusal when disposing of Crown properties, etc. The NZ Local Government Act provides for local authorities to establish Māori wards within the Council representation system. Very few have ever taken up this option. Based on the regulatory criteria, in Tairāwhiti it would mean there could be up to five Māori seats on the Council that currently has 13 seats. Gisborne District Council has continually voted against this option arguing that it would be discriminatory or that the district would suffer as remaining general wards would be enlarged. 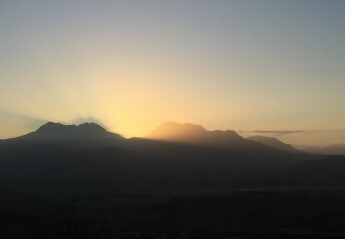 So there is a strong tradition of community governance and in the ‘post-settlement environment’ we are seeing a burgeoning of sub-tribal groups being re-established as hapū trusts with a focus on the social, economic, cultural and environmental revitalisation and wellbeing of their tribal area. Māori land in the 19th Century was ‘cut up’ into ‘land blocks’ that were assigned through the Native Land Court to 10-20 ‘owners’ who could convince the courts that they were descendants of traditional owners for particular blocks. This made it easier for Pākehā settlers to purchase land (often Māori had massive debts as a result of surveying costs associated with Court claims that meant they had to sell much of their land). In the 20th Century, a leading politician from Ngāti Porou, Apirana Ngata, encouraged Māori landowners to amalgamate – under incorporations – their titles into collectively owned land blocks that had been increasingly divided over generations through succession to children. Most of these land blocks have survived and are governed by Trustees elected from all the individuals who have shares in the block and subsequently recognised by the Māori Land Court. As successive generations increase the number of landowners in each block, the governance issues become more complex and the legislation pertaining to Māori land is currently under review in an effort to make it easier for land block owners to make decisions regarding the management of land so that efficiencies and productivity can be improved. Land blocks are usually managed as a farm, often under lease to a farmer or company utilising a number of blocks in an area – many have also planted exotic pine forests in partnership with overseas owners of the trees which typically take about 25 years to mature for harvest. The ‘last bastion’ of Māori culture is the pā or marae, the traditional compound where a whānau (extended family) and members of the hapū (collective of whānau) would live and in more recent times, meet just for community events and special occasions. Marae reservations are usually recognised formally through a gazetted notice and Trustees appointed to govern the marae. Trustees may or may not form the marae committee, that manages the day to day affairs like bookings, maintenance and repairs, finances, etc. 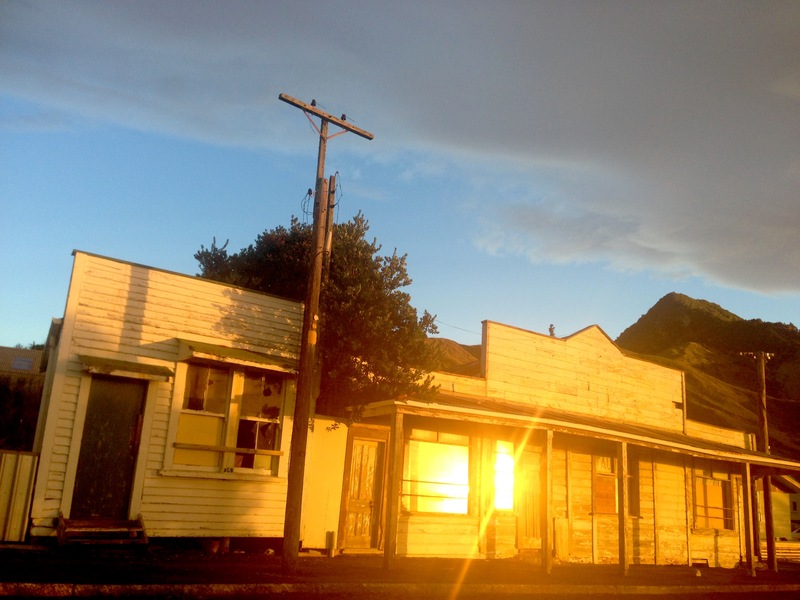 Ngāti Porou has over 50 recognised marae, while some of the smaller Turanga iwi have six marae. Marae receive usually receive some income from their iwi, some from philanthropic grants and occasionally a government contract for a service such as supported employment for long-term unemployed, etc. Marae also receive income for events from participants and some have whānau members who donate regularly. Schools have Boards of Trustees and many Māori are on these governance bodies responsible for overseeing curriculum, finances, strategic direction, student achievement, etc. Māori participate in a range of mainstream and Māori entities including churches, sports clubs, community organisations that all require local, regional and national governance. City ward councillor Manu Caddie has resigned from Gisborne District Council. Mr Caddie said he arrived at the decision after some significant soul searching following a recent family trip to Asia and discussion with family and close friends. Mr Caddie said it has been a privilege to serve the Gisborne community as a District Councillor since 2010. Mr Caddie will continue involvement with a small number of community initiatives and a new organisation. Mr Caddie’s resignation will mean a by-election must be held by early July for a new city ward councillor.